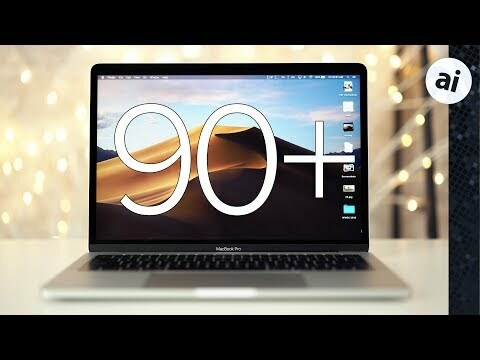 Editor's note: This video was produced by AppleInsider just after the Mojave beta launched to users. As the operating system was very stable upon release, and has only gotten better and more refined since, we are sharing this video again today so you can get a quick overview of what to expect from your Mac after Monday's release. 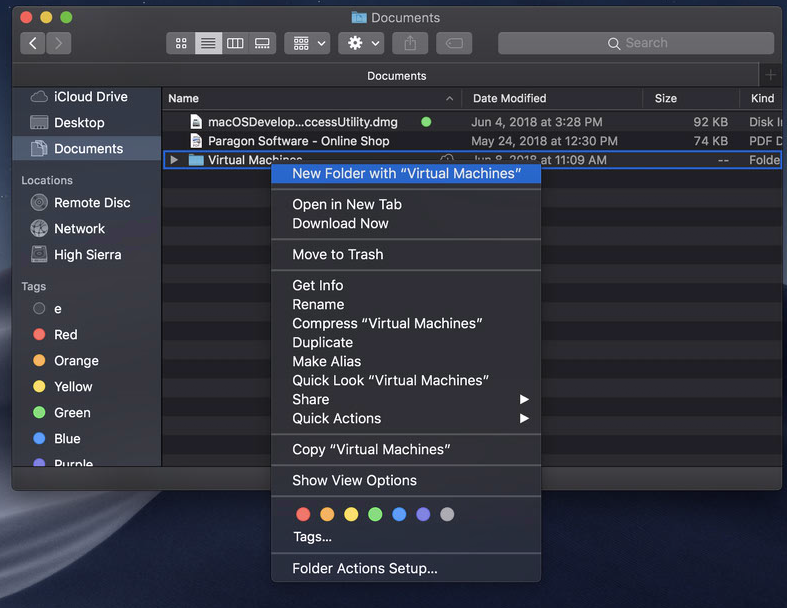 In Mojave, the most show-stopping features include Stacks for the desktop, major improvements to Quick Look, a more powerful Finder, beefed up screen captures, Dark Mode, and (coming in 2019) the ability to port iOS apps over to the Mac. For a close focus on these top features, check out our recent hands-on. Then, read on for every change, big and small, in macOS Mojave. (Removes + button, switches to all vs missed on top instead of audio/video. For more on Apple's latest updates, check out our hands-on with over 65 changes in watchOS 5. Apple's macOS Mojave was revealed at WWDC18 alongside iOS 12, watchOS 5, and tvOS 12. All of Apple's latest updates are set to be released later this fall. Stay connected with AppleInsider as we delve through the releases in the weeks and months to come. And for a new Mojave-ready Mac, take advantage of some of the best deals ever on Apple hardware, going on now. About time with that DVD player. Did you miss 3rd party password manager api? That’s nice for cross platform users. What does the "change password" button do in Safari preferences - take you to the site to change it? ...I've long asked (via feedback) & hoped for a finder column view auto resize, vs option clicking every new folder window divider per last para www.macyourself.com/2009/10/06/easily-resize-panels-in-finders-column-view-to-fit-long-file-names/ ... unless I'm missing something, of course...? Frankly I'm surprised they didn't just get rid of the old DVD Player app now that no Mac has come with an ODD for years, streaming is king, and there are plenty of cheap and free options for regionalized and protected DVD playback at this point. It's a great feature for the average user, but I'm still not going to use it. I do love the new feature that will let Apple's password manager read an app's password creation parameters (min, max, character palette options, number of repeated characters, complexity, etc.) to create the most secure password possible. This is something I've wished for a decade that was standardized with websites so that any password manager could read something public, like the robots.txt file, so that it could create a great password without excessive manual input. At this point all my passwords are unique and complex, but it was not a pleasant task since website developers are pretty lazy when it came to giving you all the rules of a password's complexity and sometimes had different rules for a website v app despite it being the same login. I'm also hoping that the increased focus on APIs for 3rd-party password managers for iOS 12 will lead more app developers (including Apple's apps) to all for better support of these other password managers. Folder Action elevated in hierarchy in place of Services. Not yet sure what happened to Services, could be this is just because I don't have any yet. Big question: do 32-bit apps still run, or do they no longer work, as has been rumored for quite some time? Odd, with the DVD player: since iTunes plays both CDs and iTunes music, why not make DVD playback part of iTunes so it would play video of DVDs and from the iTunes Store? Or then part of the QuickTime player? That doesn't mean you can't attach a USB Optical Drive to your Mac. Sure, you could probably use VLC or something like that but its not as intuitive to use as DVD player where you simply put the DVD in the drive and the app does the rest. Yeah, I'm surprised they didn't drop it entirely. I presume it doesn't handle Blu-Ray discs...? Yes they do, but "not without compromise" which I still haven't gotten an answer to. A lot of people around here want iTunes broken up into a dozen apps each with different abilities so your suggestion of rolling DVD playback into iTunes probably won't go over well, but I think your comment makes logistical sense with it being able to play music CDs and being able to play TV shows and movies. Rolling it into QuickTime would've also made sense, but I just assumed they were just going to can the app altogether since they 1) hadn't updated it in years, 2) they haven't had ODDs in Macs for years, 3) disc sales are dropping while they're pushing streaming media, and 4) there are plenty of apps that offer DVD playback. Why even bother with all the licensing requirements for regional DVD playback at this point? I'd be curious to know why they decided to add this as part of MacOS Mojave. Wait, why were the Mission Control mouse options removed? Are they somewhere else or do we no longer have hot corners? ...but I just assumed they were just going to can the app altogether since they 1) hadn't updated it in years, 2) they haven't had ODDs in Macs for years, 3) disc sales are dropping while they're pushing streaming media, and 4) there are plenty of apps that offer DVD playback. Why even bother with all the licensing requirements for regional DVD playback at this point? I'd be curious to know why they decided to add this as part of MacOS Mojave. Possibly some of the people working at Apple have considerable libraries of movies and TV shows on DVD and didn't want to lose the option of playing them with 1st-party Mac OS support...? I certainly am happy to see it maintained (though I really wish Apple had bothered adding native Blu-Ray support, since they are still being rather successfully marketed and streaming is inferior compression/picture quality and reliant on having high bandwidth internet available). I don't think anyone suggested that you can't use an external ODD. Is VLC really that unintuitive? You point it to what you want to play? And what about other 3rd-party apps for playing DVDs? How many people do you know—on any desktop OS—that are still putting in a DVD into their PC for playback? Of those, how many are using a USB-connected ODD to playback a DVD? Are you seeing these people on planes? If you know people like that you really should show them how to use Handbrake or iVI Pro (the latter being very iniutuitvef) that will allow them to copy a file to their local drive which will use a lot less power and not make any noise that a spinning ODD makes. And as far as I know there is still no support for Blu-ray in this updated player. Again, obviously Apple has their reasons, but I don't think it's a run of the mill reasons, hence mine and others curiosity. Perhaps it's something like "we gave it to some interns as a project and they did a great job so we included it." (See this story for reference of an odd things that happen at Apple). Oh believe me...I use VLC at work and folks have no clue how to get the DVD to play in VLC. This is why I always use a Mac wherever possible. Pop the DVD in the drive and the Mac does the rest. Very simple and intuitive. What's the confusion with VLC...? Drag and drop the DVD icon onto the VLC icon and voila! I’ve always appreciated the consistency between all the finder windows whether saving, opening, exporting, importing, whatever — always the same. Hope they didn’t jack that up too bad.